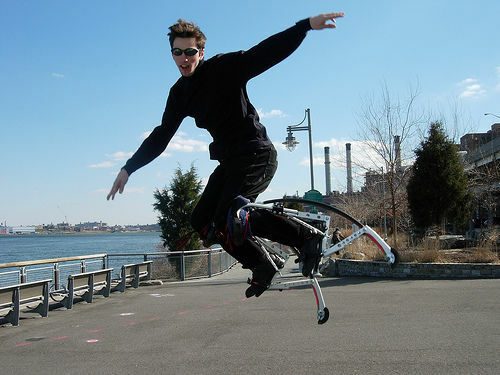 Jump 7 feet in the air, run at speeds up to 20mph, and experience your first broken bone with the Poweriser Power Jumping Stilts. 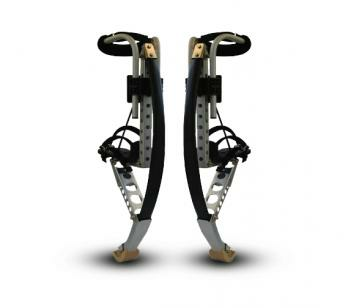 Made with the highest quality of construction materials, the Power Jumping Stilts are great for exercise, competition, or just looking foolish in general. Hanin Gift Shop is a news shopthat focuses on the newest brilliant inventions, gadgets, Creative product designs, and weird contraptions that pop up across the web. It doesn't matter if the product is completely useful or utterly useless, as long as it's obscure, unusual, interesting, or awesome, you will see it featured on Hanin Gift Shop. In it's basic form, we scour the internet to find the Best products that you can actually purchase on the web. Hanin Gifts Shop was founded in 2014 out of Jamaica, NY. © 2016 Hanin Gift Shop. All rights reserved.